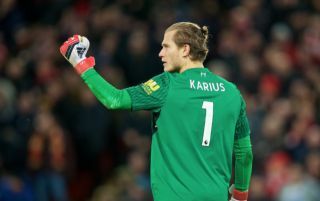 Although they have yet to make an official announcement, Besiktas appear to have signed Liverpool goalkeeper Loris Karius, with terms of the deal not yet known. The German shot-stopper has endured a difficult few months on Merseyside with his blunders in the Champions League final last season followed by more errors in pre-season. That eventually led to Liverpool splashing out £67m on Alisson to become their new first-choice between the posts, as per Sky Sports, relegating Karius into a back-up role alongside Simon Mignolet. With his chances of regular football diminishing at Anfield, an exit seemed on the cards for the 25-year-old to rebuild his confidence and prove his worth. As per the image below taken of the current Twitter header on Besiktas’ official account, it appears as though they’ve added the goalkeeper to their squad, but oddly, they haven’t yet released an official statement to confirm the news and neither have Liverpool. In turn, it remains to be seen whether or not this is an error or a member of the admin team jumping the gun and updating their social media too soon. Either way, with Alisson keeping two clean sheets in two games as Liverpool have won both of their opening Premier League fixtures, it doesn’t appear as though Karius will have a prominent role to play this season and would be well advised to consider an exit.